Take Chakrapong road and walk towards Phra Sumen road intersection. You will pass Universe INN on your left and two smaller Sois on your right.We are located on the right hand side, house nr 214 just before you hit the traffic light between two gold/jewelry stores. We have a detailed bus/train/boat description also on our website at bornfreeadventures.com in the Vista section. 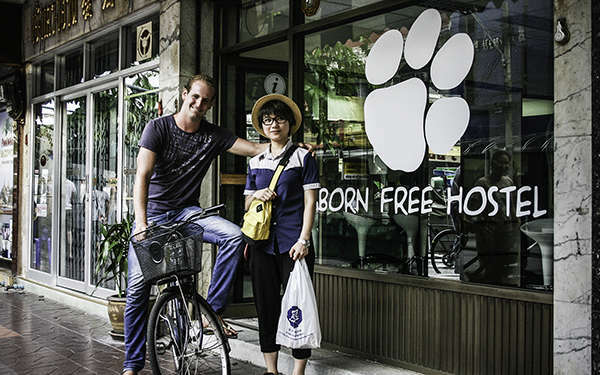 1.Born Free Hostel has a 48hour (2days) cancellation policy. Guests will be charged the full amount of their stay if their reservation is not cancelled 48h prior to check in time at midday. If you wish to cancel any reservations please send us an email with all details or go via the booking engine. We DO NOT accept FB cancelations. Groups of 4 or more need to cancel at least 7 days in advance. 2.Our check in time is 1pm and check out time is 11:30am. 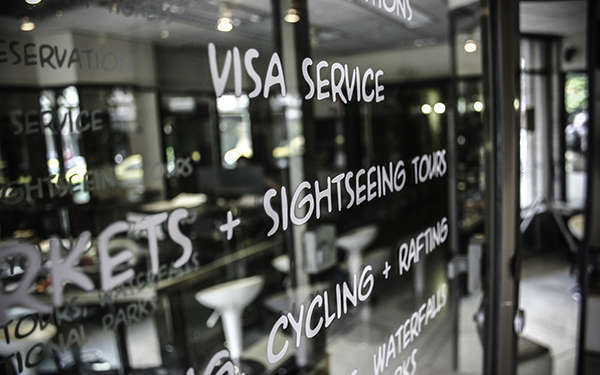 3.We do not accept credit card and cash payment upon arrival yet. 4.This is a backpacker's/travelers's destination so it is not suitable for children and babies. 1)For safety reasons we do not allow guests' friends in to the room areas without staff being present. Any guests who wish to bring in friends may do so in the reception area only. 3)We do not have a curfew.